Help me, I can’t read the photographer’s name for an attribution. This entry was posted in Musing on August 14, 2015 by Setsu. Did a Google Image Search on it. 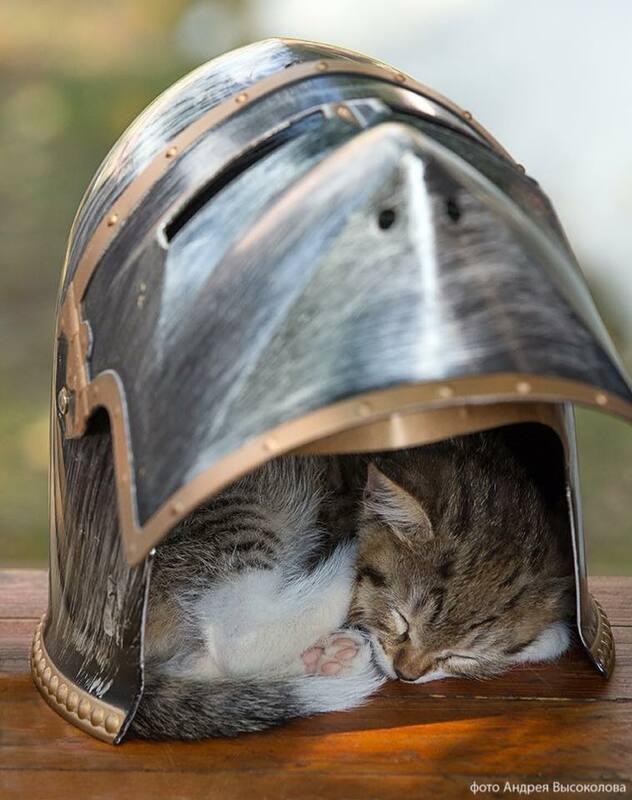 It did not really recognize it, so I described it as “kitten sleeping under helmet” and poked at several Tumblr pages. One of them actually had a link on “(x)” which pointed to: https://www.facebook.com/photo.php?fbid=862403337173548&set=a.338856982861522.77968.100002116681783&type=1 whose owner is Андрей Высоколов which looks pretty close to your photographer. Google translates it to Andrew Vysokolov.